One of the finest pure-shooting wings in Cowboy basketball history, Stan Dodds led the Western Athletic Conference in field goal percentage for two straight seasons. He was an All-WAC first-team selection in 1970, his senior season, while leading the Pokes in scoring at 20.7 points per game. In his three seasons, he shot .558, .569 and .560 respectively from the field. A tremendously consistent player, his senior field goal percentage was ninth best in the country. His favorite spot was in the deep corners of the War Memorial Fieldhouse floor. For his career, he averaged 16.7 points per game, ranking him eighth on Wyoming’s career list. One can only imagine his total had there been a three-point line. He posted his career-best game against Arizona State on Feb. 28, 1970. when he scored 45 points in the Cowboys 112-94 victory. He made 19 field goals in that game, the second-best total in school history. His 45 points is fifth on the all-time list. 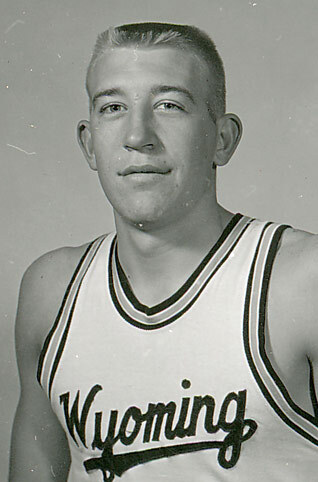 In Wyoming’s National Invitational Tournament (NIT) game against Army in 1969, Dodds led the team in scoring and rebounding with 12 and 10 respectively. He was co-winner of the team MVP award for the 1969-70 season with Carl Ashley. He earned the Admiral Land Award as UW’s top student-athlete following his senior year.